TIRANA (Albania), January 15 (SeeNews) – The Kosovo Customs opened on Tuesday an office at Albania’s biggest sea port of Durres, marking a further important step towards closer economic cooperation between the two countries, Albania’s prime minister Edi Rama said. The opening of the Kosovo Customs office will facilitate the movement of goods and people, Rama said during the opening ceremony, according to a video file posted on his Facebook page. The Albanian prime minister also said the new office will reduce costs and save time for Kosovo's businesses and will boost trade between Kosovo and Albania. 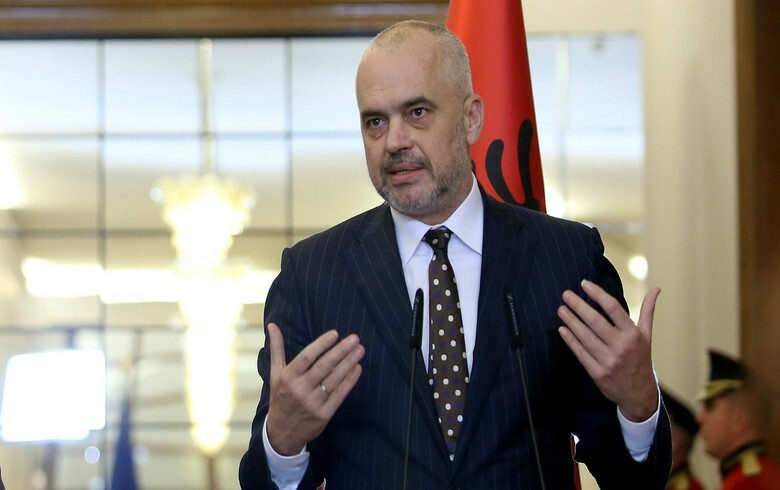 In November, Rama said that all trade barriers between Albania and Kosovo will be removed in the first half of 2019. “Zero tariffs and zero non-tariff barriers within the first half of next year between Albania and Kosovo,” Rama said in a press release at the time, following a joint meeting of the governments of Albania and Kosovo held in city of Peja in Kosovo. Albania and Kosovo will also work towards harmonization of legislation for all documents and certificates of products, Rama said, adding that what is submitted in Albania as a document should be considered a document issued in Kosovo and vice versa. The opening of the Kosovo Customs office in Durres comes less than two months after the government in Pristina increased the import tariffs on all goods produced in Serbia and Bosnia to 100%, saying the measure aimed to protect Kosovo’s sovereignty and interests. Serbian trade minister Rasim Ljajic said earlier this month.